Take a look inside Panther Racing's "Operation: Hire Our Guard" employment program from Pocono Raceway including interviews with our Hometown Hero and Medal of Honor recipient James Livingston. 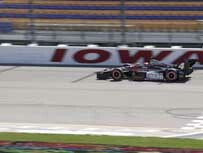 Couldn't make it out to the Iowa Corn Indy 250? Check out Panther's photos from the weekend!